One tap expense management and receipt tracking for the whole team. Snap a picture of the receipt and details such as merchant, date, and price are automatically coded and queued for reimbursement. Inbox guides you through any tasks that are holding up reimbursement. Approve reports, fix expense violations, and invite teammates — all from your phone. Upcoming trip reminders, flight delays, and more – any changes to your itinerary are sent directly to your phone. Hit the road running with automatic GPS tracking. Two taps on your phone and your mileage is recorded and reported. With global currency and tax support, bring Expensify wherever your job takes you. 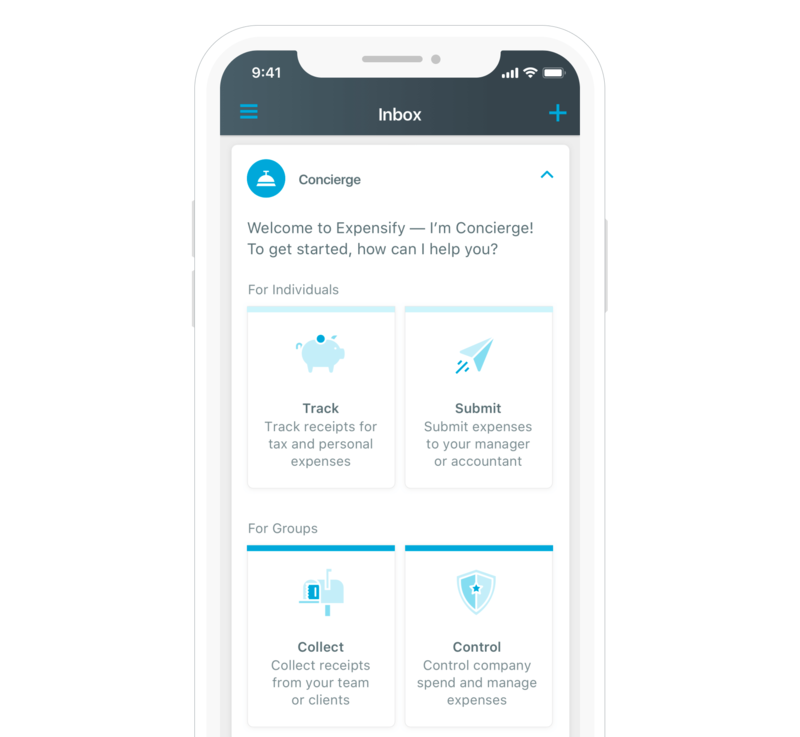 For remote sessions, Expensify’s offline mode guarantees that your expenses are always up-to-date. Title says it all. Just SmartScan your receipts on the go and then I just submit later on the website. Wonderful for tracking travel expenses for business trips and reporting for each trip. Expense reports are a huge pain. As is having a Costanza-like wallet full of receipts. This app has fixed both problems for me. And I enjoy that. Easy to use and great to keep track of your expenses. As a CPA I am working with my small business clients to try and get them to consistently and accurately capture their business expenses. This is almost idiot proof! Absolute time saver. I get expense reports done in a fraction of the time. Just a well thought great system to track expenses. The result is I have recommended it to three of the companies I work with. Enter your phone number below and we'll text you a link to download the app.